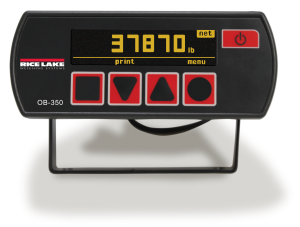 Rice Lake Weighing Systems’ high-accuracy trailer half-kits are designed for onboard scale mounts in equalizing suspension center hangers. 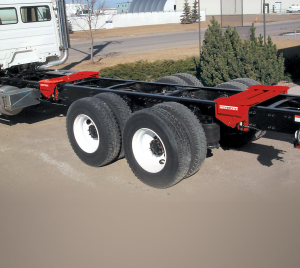 The kits can be clamped to single-point suspension trunnions, or used in sub-frame mounts between trailer frames and suspension sub-frames. 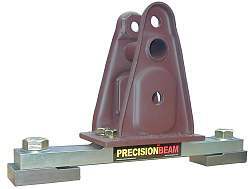 Rice Lake kits use time-proven PRECISIONBEAM load cells, precision-machined, welded down bearing plates and plated, Grade 8 mounting hardware.  Rice Lake load cells are nickel-plated and have a molded nylon output connector cable, ensuring complete environmental protection. 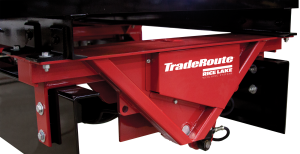 Rice Lake trailer suspension kits are typically used with a variety of tractor fifth wheels, kingpin plate or landing gear equipment. 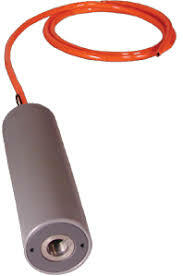 Pressure transducers are also available for air-ride suspensions for both tractors and trailers.  Rice Lake Weighing Systems’ high-accuracy, load cell half-kit is designed for onboard scale mounts beneath fifth-wheel plates. 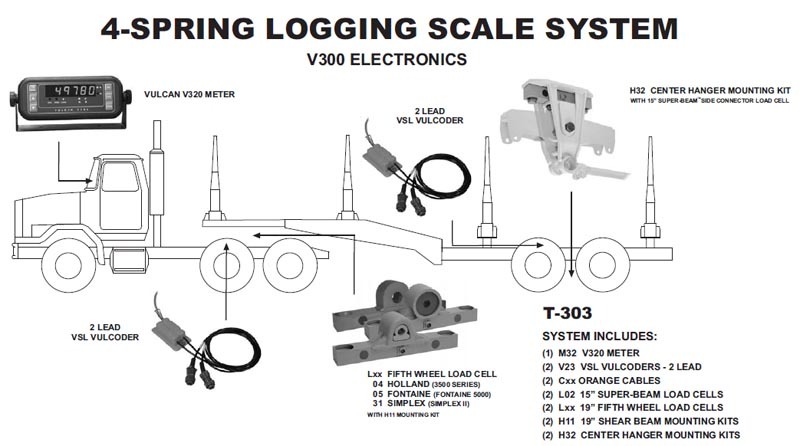 The kit pairs with a variety of semi-trailers using either air-ride or equalizing/ single-point spring suspension load cells. 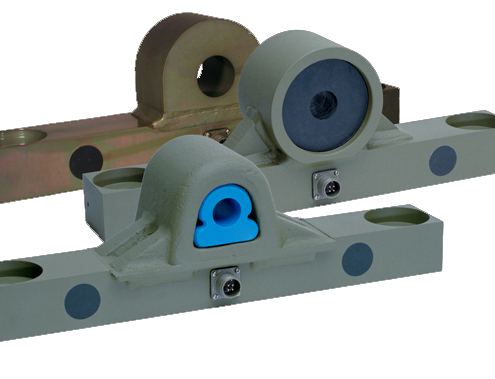 The fifth-wheel load cell assembly includes the time-proven PRECISION BEAM load cell as well as precision-machined, weld-down bearing plates and plated, Grade 8 mounting hardware. 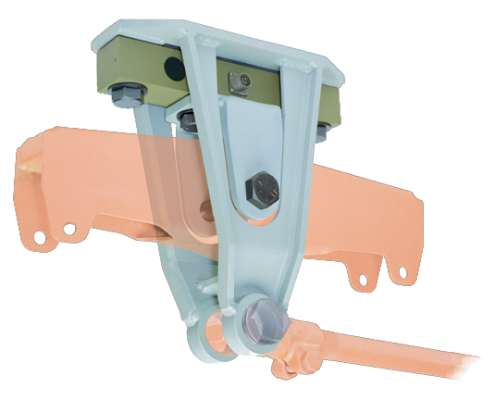 Steel, bolt-on fifth-wheel trunnion mounts with poly bushings for SAF-Holland®, JOST International® or Fontaine® fifth-wheel models come standard. 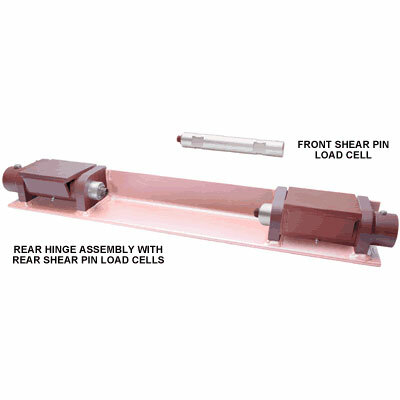 The load cell, part number 114326, is nickel plated with a molded-nylon output connector cable 30 inches (76 centimeters) in length for complete environmental protection. 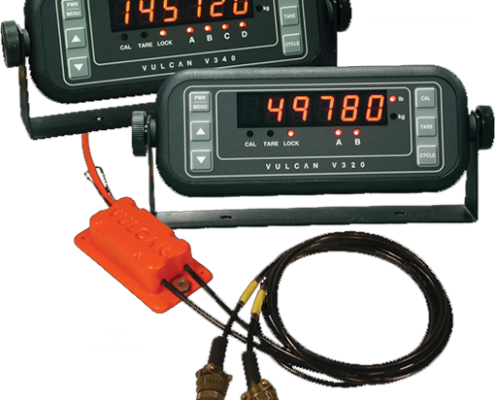 The Vulcan long logger scale system uses proven technology to give you the reliability and accuracy you expect. 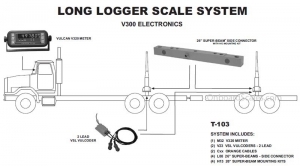 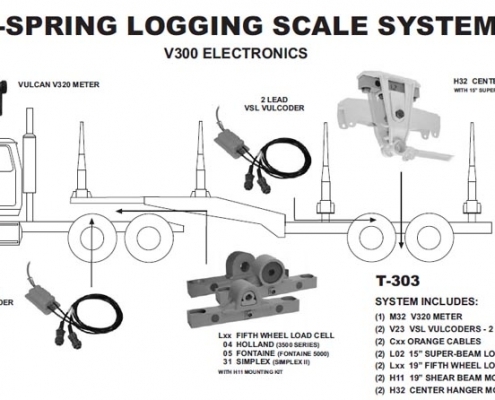 Vulcan L08 26″ Super-Beam load cells are the established and proven standard for excellence in the logging industry. 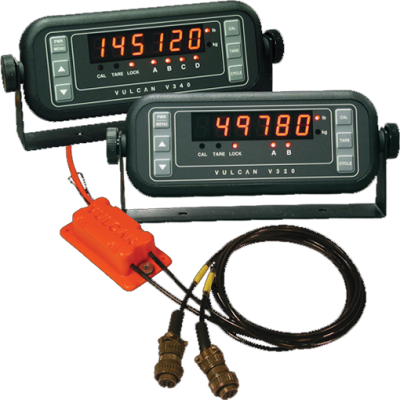 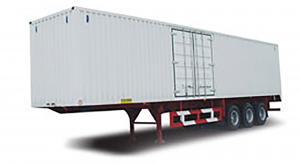 Vulcan VSL electronics allow unlimited mixing of trucks and trailers without any adjustments. 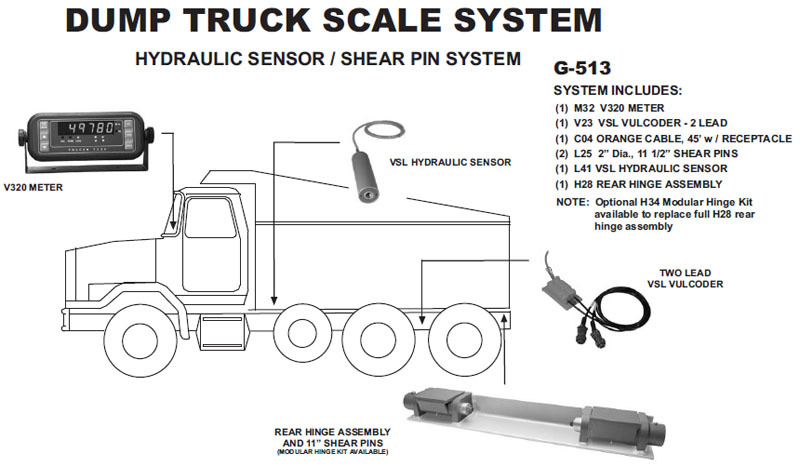 The Vulcan shear pin dump truck scale system operates reliably in harsh environments and is the most accurate method to measure dump truck payload weights. 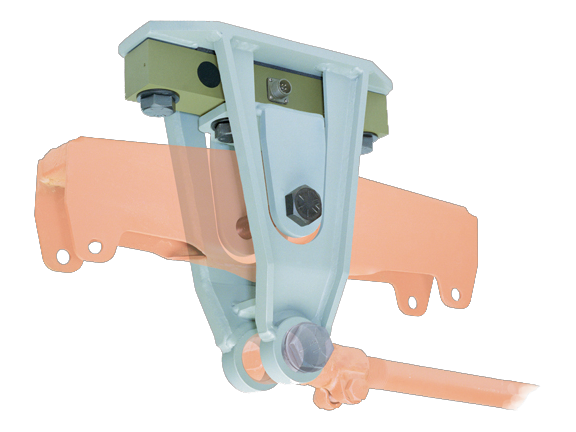 The standard system includes a full rear hinge assembly and bracket to replace the truck’s existing hinge and bracket. 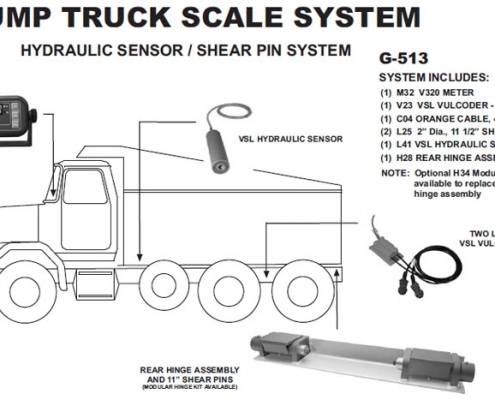 For this configuration an all-digital hydraulic pressure sensor obtains weight information by measuring hoist cylinder pressure, and durable Vulcan shear pin load cells measure weight at the rear hinge assembly. 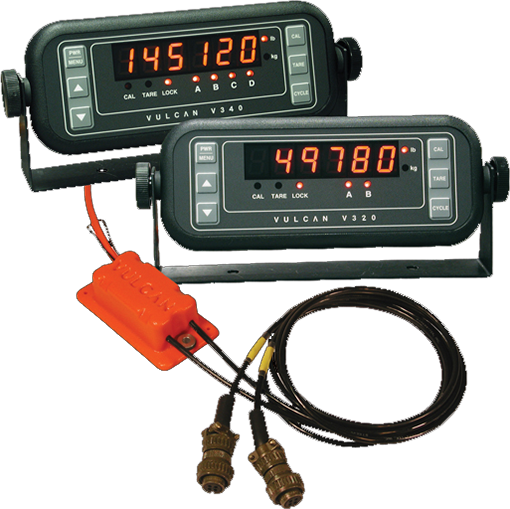 Vulcan electronics provide the operator payload weight information to optimize loading and operation.